"This highly entertaining documentary follows the amazing life of Marcia Nasatir, who went from a young Jewish girl in Texas to being the FIRST Female Vice-President of Production at the United Artists movie studio. The vivacious Nasatir, who was instrumental in getting films like “Rocky” and “The Big Chill” to the big screen, has plenty of fun stories to tell — and a great screen presence of her own." 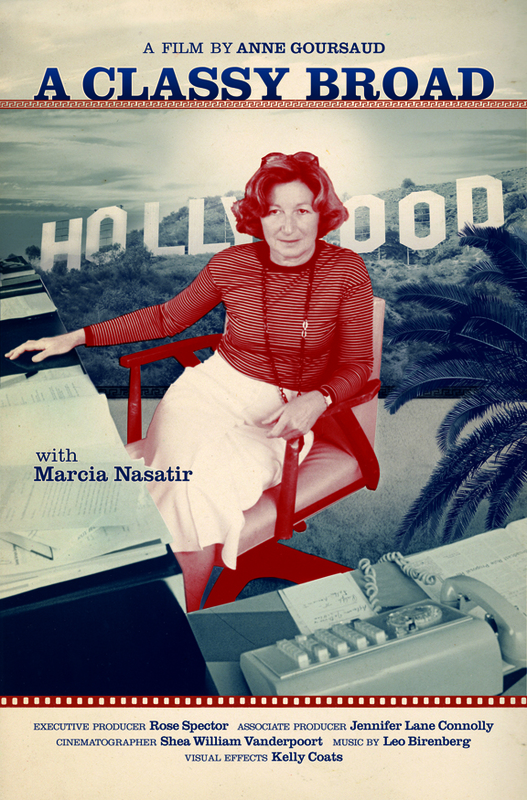 A CLASSY BROAD: Marcia's Adventures in Hollywood is a documentary film by Anne Goursaud on the life and career of Marcia Nasatir, Hollywood's FIRST Woman Studio VP of Production at United Artists. This feature-length documentary stars Robert Towne, Glenn Close, Rob Cohen, Lucy Fisher, Lorenzo Semple Jr., Mike Medavoy, Tony Bill, Lawrence Kasdan, Daniel Petrie Jr., Dorothea Petrie, Tommy Swerdlow and John Dean. 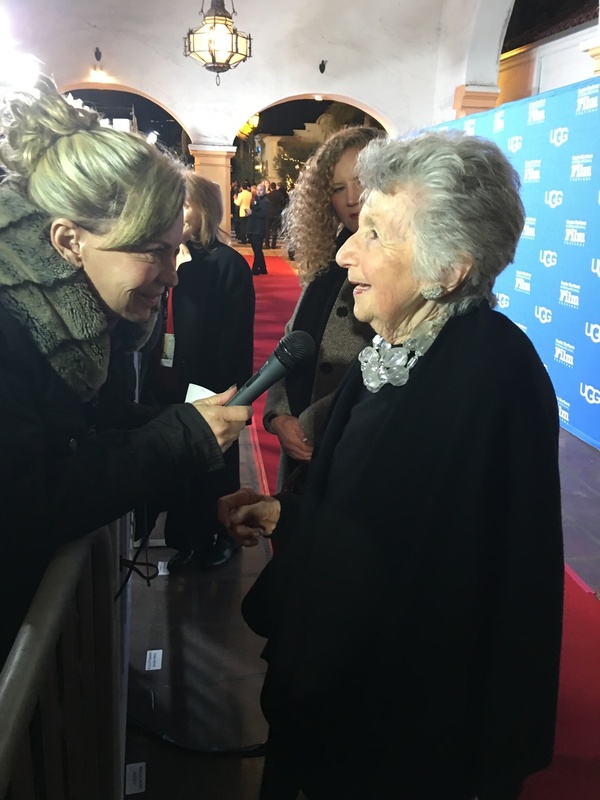 Marcia Nasatir talks to Sojourn Docs on the red carpet on Opening Night of the 31st annual Santa Barbara International Film Festival. Director Anne Goursaud and Associate Producer Jennifer Lane Connolly were also in attendance. The documentary held its world premiere screening and encore presentation to sold-out audiences. By popular demand, it returned for a third showing of the film.